While I've enjoyed immersing myself in the world of cocktails over the past year, there are times when my searches for particular bits of information come up flat. so I turn to you, mighty denizens of the Internet and Cocktail Blogosphere to see if you can provide some insight. 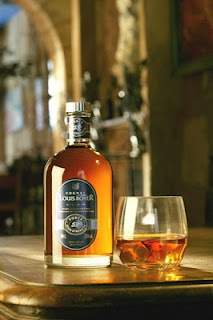 While searching for a good mixing cognac, I stumbled upon a discussion on the ever-useful eGullet forums. 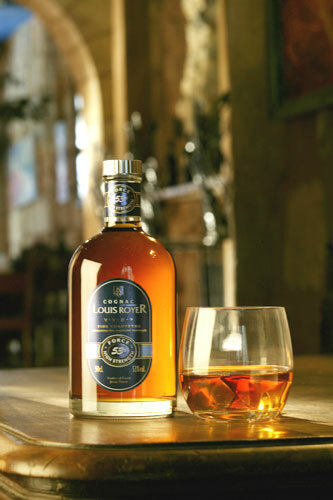 One of the commenters mentioned Louis Royer Force 53 Cognac as one of the more spectacular options currently available as it clocks in at a burley 106 proof (hence the Force 53 moniker). Spurred by a glowing review by Paul Clarke at the Cocktail Chronicles, I poked around for a way to get my hands on a bottle. While I came up with a few hits, with the already steep price point combined with shipping liquor from the East Coast, what I could find was far beyond my limit for untried booze. Since Paul was able to get his hands on it out in Seattle, I presume there must be some decent source for it. Anyone have a hook-up that they can clue me into? Alternatively, does anyone have suggestions for other high-proof brandies that would work well in 19th-century cocktails? Another high-proof item I've been looking for is a stronger gin. I'd love to get my hands on some 114-proof Plymouth Navy Strength Gin, but as far as I know it's not sold in the States. On the other hand, the people at the Clover Club can apparently get their hands on enough to serve it to customers, so maybe there is a way. Another possibility is the slightly less potent 102-proof Seagram's Distiller's Reserve, though the reviews have been slightly mixed. Martin Miller's Westbourne Strength is also frequently noted in discussions about higher proof gins, but that one doesn't even crack the 50% mark. However I'm also less of a fan of London dry style gins, so neither of those options is super appealing. Anyone know how to get the Plymouth NSG or have other suggestions? I finally put my hands on a copy of David Wondrich's Imbibe! and have been poking at it whenever I have a spare moment. 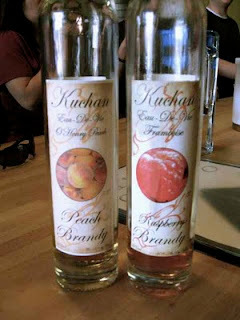 One of the ingredients that he bemoans the loss of is aged peach brandy. After some poking around the internet, it's clear that some craft distillers are starting to put out new products in that vein, but they're also not cheap, especially once shipping is factored in. 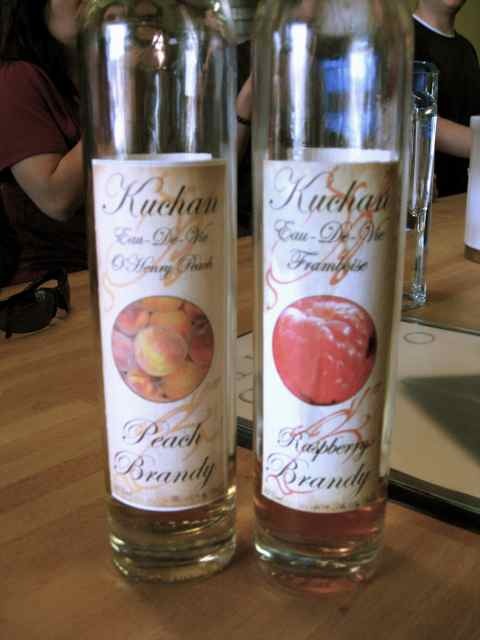 There's an unaged peach brandy from Koenig Distillery in Idaho listed in the Oregon directory that I might be able to "age" with oak chips. However, the problem is twofold. One is that I can't even find any reviews online, so I have no idea if it's any good to begin with. Secondly and more importantly, it's not listed as being stocked anywhere right now, so unless I'm lucky enough to stumble upon a store that miraculously has some, that's not a viable option. So once again, if any of you have better ideas, I'd love to hear them.